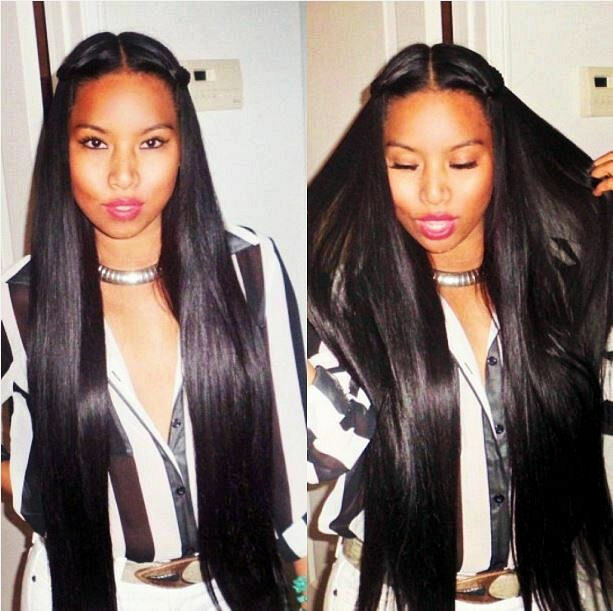 Our Malaysian “Silk Tail” has a velvety texture that can be straightened, curled, and dyed. 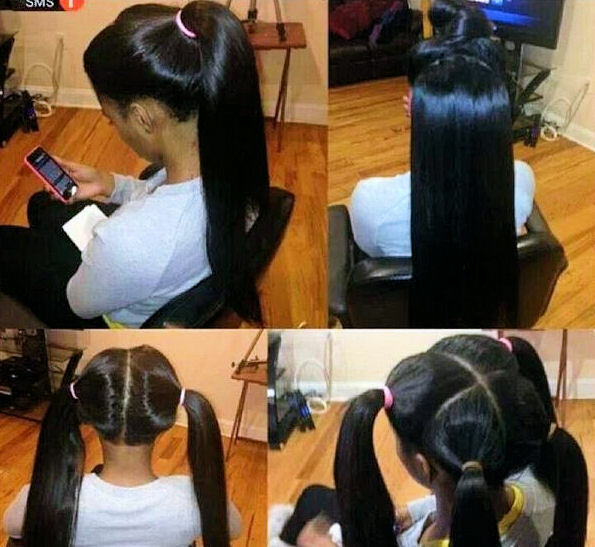 Each bundle contains 3.5 – 4oz of 5A virgin hair and does not tangle or mat. and does not tangle, mat, or shed. Blends well with relaxed hair and less course textures. 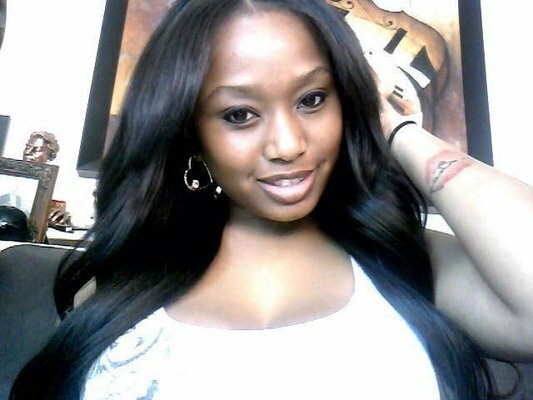 We call this beautiful Malaysian hair “Silk Tail”. It is a velvety texture that can be worn straight, curled or dyed. 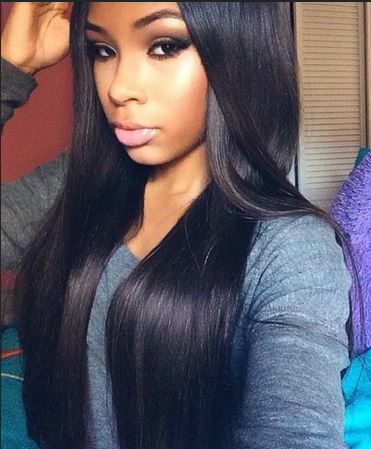 This AAAAA grade hair comes in a natural 1-1b color and does not tangle or mat. It blends easily with relaxed hair and less course ethnic hair textures. Each bundle contains 3.5 – 4oz of 5A virgin hair and (depending on desired volume) only requires 3-4 bundles for a full install. 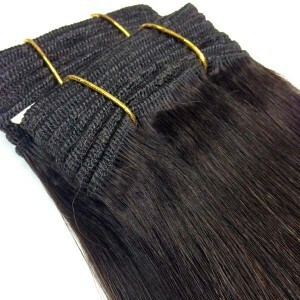 Triple stitched machine wefts help minimize shedding and improve durability. With proper care, your Model Materials Virgin Malaysian Hair can last up to 9-12 months. 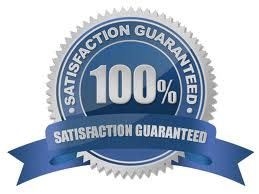 And as with all of our products, you are protected by our 90-day “Satisfaction Guarantee” and will receive your order promptly with FREE shipping and handling. 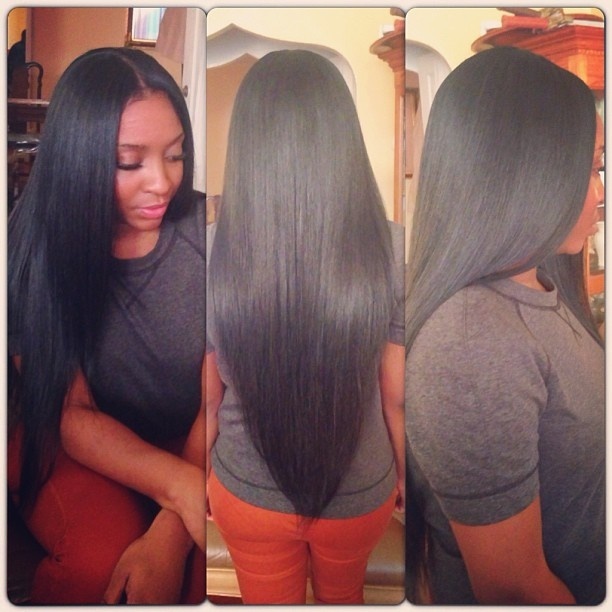 This hair is GORG. I’m very SATISFIED so far: the bundles were thick, all the way down to the ends. 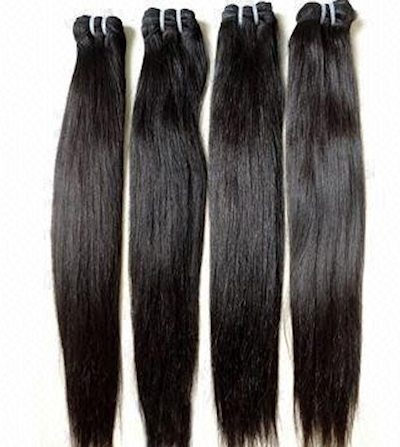 Hair is very silky and soft and comes with a medium to high luster. No smell and no split ends so far no shedding. WOULD RECOMMEND THIS HAIR TO EVERYONE!